Restaurant chain Pizza Hut is on the hunt for agency support to drive a major reappraisal of the brand. As Burger King hires two agencies, Pizza Hut UK, owned by the world's largest restaurant firm Yum Brands, is inviting agencies to pitch for a retained consumer and corporate PR brief. According to market research firm Mintel's 2011 report on pizza and pasta restaurants, despite Pizza Hut continuing to lead the pizza outlet market, its closest rival Domino's Pizza is rapidly closing the gap (see below). The Pizza Hut chain, which has more than 700 outlets in the UK, is being squeezed by the dual threat of low-overhead delivery companies like Domino's Pizza and more upmarket offerings such as Pizza Express. Freud Communications, which has worked on issues management for Pizza Hut UK for ten years, will pitch for the corporate PR portion of the brief but not the consumer business. This comes as Freud has picked up the Department of Health's £1m-per-year PR account. Back in 2008, Pizza Hut caused confusion when it rebranded itself Pasta Hut. Journalists complained that Freuds only revealed the name change was temporary at the last minute. 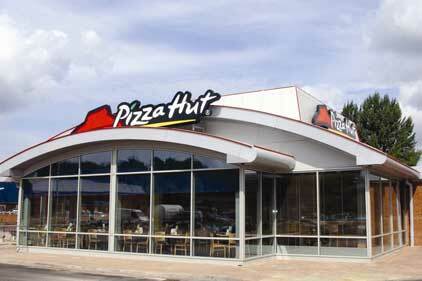 Pizza Hut UK's chief marketing officer Chris Tebben said the firm was looking to have an agency in place by March. With Freuds pitching for only part of the brief, it is thought that Pizza Hut is willing to consider splitting the brief among a number of agencies. 'We have invited agencies to pitch for consumer and proactive corporate PR to help drive reappraisal of the brand in 2012,' said Tebben. In PRWeek/OnePoll's survey of fast-food firms last May, 14 per cent picked Pizza Hut as having the best reputation.